It’s been a really long time since I routinely paid careful attention to patch notes and things like that, so somewhere along the way I missed the bit about level scaling in lower level pvp. Many of you probably knew this, but I just discovered it tonight. 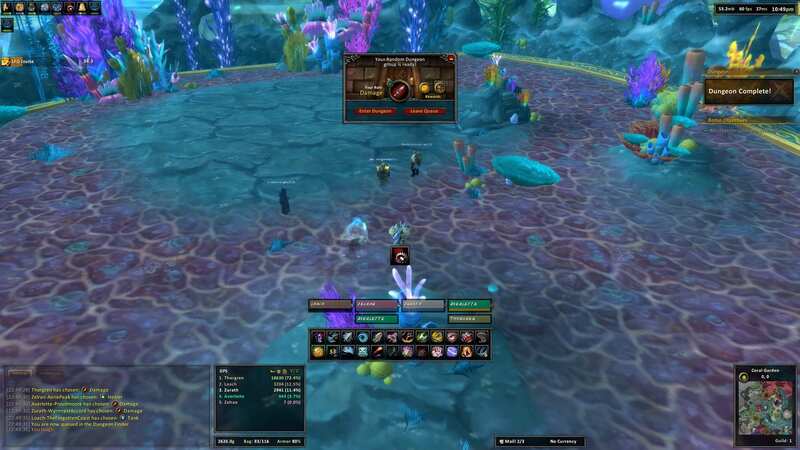 What you may not know, however, is that if you’re toggling back and forth between dungeon and BG queues, like I was, there is a chance your pet’s level will stick at its scaled PvP version. Additionally, as long as you keep chain-queuing dungeons, there’s a good chance it will remain bugged out. I first noticed something was a bit odd when I came out blasting my way to 16K+ in Throne of the Tides at level 81. I started out thinking I was just having some exceptional RNG and a perfect group composition – allowing me to slay the meters. It’d been some time since I hit Cata dungeons on a hunter, so I wasn’t altogether sure that some 15k-20k burst wasn’t out of the ordinary. ‘Cause…well…Hunters, you know. We’re just that epic. After the first dungeon, I finished with 15.8K average DPS at level 82, with my pet’s Kill Commands hitting for between 90 to 110K! The second dungeon I ran, I focused on my gameplay and managed 18.6K overall at level 83. Although I was really enjoying the godly DPS, I knew something was amiss. When we entered our 3rd dungeon, I paused to have a look at things and noticed my pet’s level was showing as 91 and my level was also showing one higher than it actually was. This screenshot shows my level in chat as 83, which is correct, but then it also shows my level as 84 on the tooltip, and my pet’s level as 91! 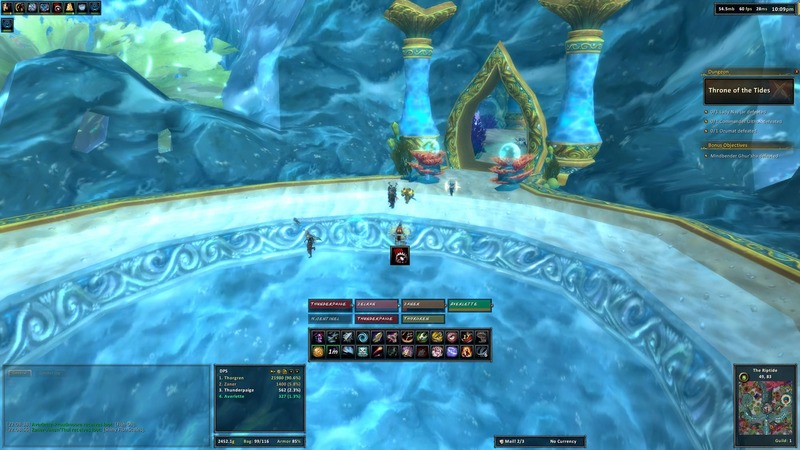 My Spirit Beast got stuck at 89 after I left my BG to run a dungeon, then continued to level from there, all the way to 91 – proving way too much for the bosses of Throne of the Tides and The Stonecore. It was awesome. My party members were especially pleased with my performance, and we ended up smashing 6 dungeons in 1hr, 15mins, in which I went from 81 to half-way through to 86. If you have a leveling hunter sitting around 80-85 (not sure that it works in Panda content), you gotta try this out. 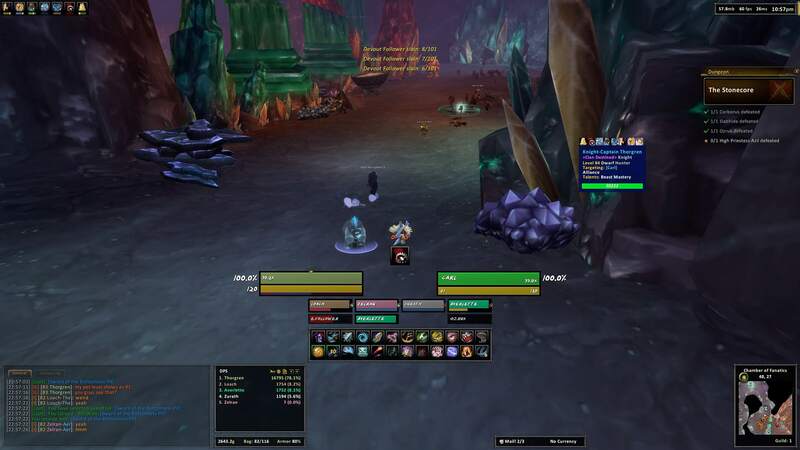 Enter a random BG and see if your pet’s level stays scaled after you exit. I Googled this bug and it seems to be something that’s been in-game for awhile, so it’s doubtful Blizzard cares too much about fixing it. It was certainly good for a few laughs this evening and I basically charged through Cataclysm in just over 90 minutes!